There are many different meditation methods and the key is to choose one that suits you as an individual. 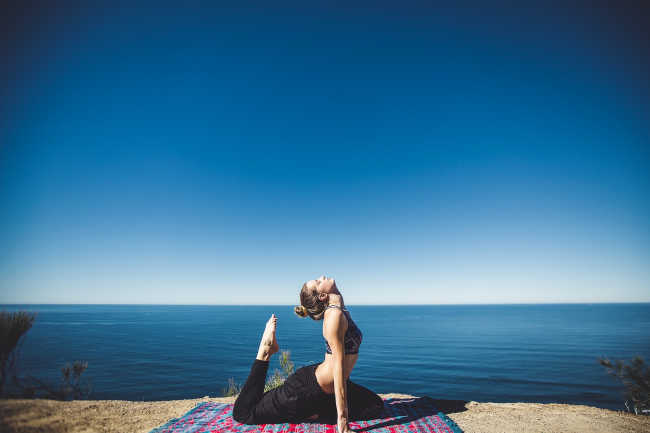 As we’ve already seen, one of the main branches of yoga is concerned with meditation and yoga masters have been studying yoga meditation benefits for many centuries. We all concentrate in different ways, some people concentrating more easily on sound while others prefer to focus on an image or on their breathing. Meditation is all about being at one with yourself in silence and stillness. It is therefore essential choose the meditation method that easily allows you to achieve this state. Here are three simple meditation methods which are suitable for both complete beginners and those who have more practice. As with all yoga practice, meditation improves with repetition and experience. If at first you find your mind wandering, simply allow whatever thoughts pop up to float across and then out of your mind without paying them too much attention. As you become more skilled at meditation, you will no longer find stray thoughts intrusive. Just relax and give yourself to the experience knowing that you will gain a great deal from it, especially if you make it a regular practice. Classical yoga favors focusing on the breath as a method of meditation. Our breath is considered to be our own, natural mantra and through it we can tune into the silence within ourselves.  Choose a cushion or blanket as your meditation cushion. If you choose a blanket, fold it up once or twice so that it is comfortable to sit on. Alternatively, you can sit in a chair. Then pick a quiet spot where you will be undisturbed.  Sit with your legs comfortably crossed or, if sitting in a chair, spread your legs slightly so that they are not touching.  Sit up straight and allow your chin and shoulders to relax just as you did when you were breathing. Close your eyes.  Relax and breathe in and out naturally.  Now begin to gently slow your breath, inhaling to a count of three and exhaling to a count of three, breathing in through the nose and out through your mouth. Try to establish a flowing rhythm, neither forcing nor pushing the breath but simply allowing it to be.  Bring all your attention to your breath, emptying your mind of any extraneous thoughts. If any thoughts do pop into your head simply accept them and then exhale them on the out-breath. Be careful not to over breathe or you will start to feel dizzy. Keep your shoulders, head and neck relaxed.  When you are ready, bring your breathing back to its regular rhythm, open your eyes and slowly become aware of your surroundings.  Take your time when standing up, stretch out and carry on with your day or evening, enjoying the profound sense of calm and relaxation that you have gained from your meditation. Many of us find it easier to meditate when we are focusing on a particular image or object. One particularly popular method is to focus on a candle flame.  Choose a cushion or blanket as your meditation cushion. If you choose a blanket, fold it up once or twice so that it is comfortable to sit on. Now pick a quiet spot where you will be undisturbed.  Sit with your legs crossed or in the Lotus position, where each thigh is placed on top of the opposite thigh rather than underneath.  Place a candle in an appropriate holder in a position where you can easily gaze at it. It is better to place it below eye level so that you are gazing down at it without having to tilt your head or chin in a strained manner.  Take a few moments to center yourself before lighting the candle.  Now sit up straight and allow your chin and shoulders to relax just as you did when you were breathing.  Bring your focus to the candle flame, trying not to stare too hard at it but rather to feel as if your gaze is melding with the flame.  Allow your breathing to slow to a rhythmic intake and exhalation but do not force it or concentrate too hard on it.  Continue to gaze at the candle flame as you slowly allow your mind to empty. If thoughts should pop into your head simply allow them to drift through and away.  Feel yourself becoming at one with the flame, allowing its energy to flow through you and your energy to flow through it.  If you become distracted, gently bring yourself back to your meditation. When you are ready, slowly bring your awareness back to your surroundings, blow out the candle and stretch, enjoying the sense of calm and focus that you can carry with you.